Microphones that you hold in your hands while performing are considered as handheld vocal microphones. These microphones have to fulfil certain criteria. They need to offer high feedback-rejection and most of them feature cardioid, supercardioid or hypercardioid polar patterns. In addition they are required to provide a rugged construction, full bass and crispy highs. 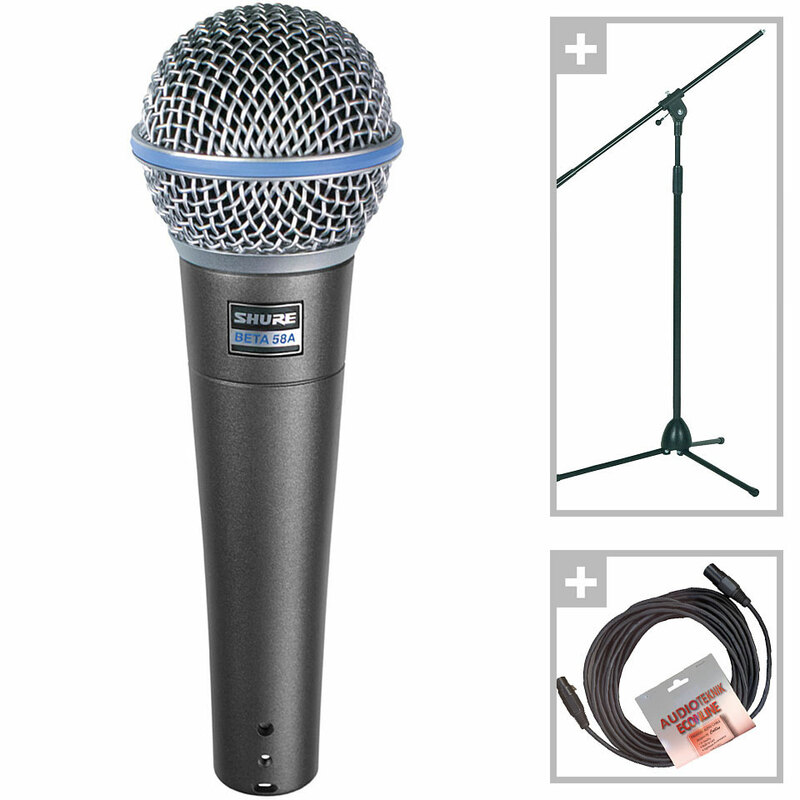 Their frequency response is usually tailored, because these microphones are designed for vocal pickup. Models featuring a pronounced proximity effect are frequently used. When choosing a mic, you should also make sure that wind and breath "pop" noise as well as handling noise are sufficiently suppressed. This item was given an average rating of 4.8 out of 5 stars. No review about this product has been written yet. 27 ratings exist without a text or these reviews are written in another language.